The Dark Bordered Beauty is a moth that certainly lives up to its name, but not many of us will be able to appreciate it due to numbers falling in its isolated populations. This tiny, rare species is found at a few sites in Scotland, including near Balmoral in Aberdeenshire and Strathspey, but its only population in England is found on Strensall Common – an area of protected lowland heath near York. 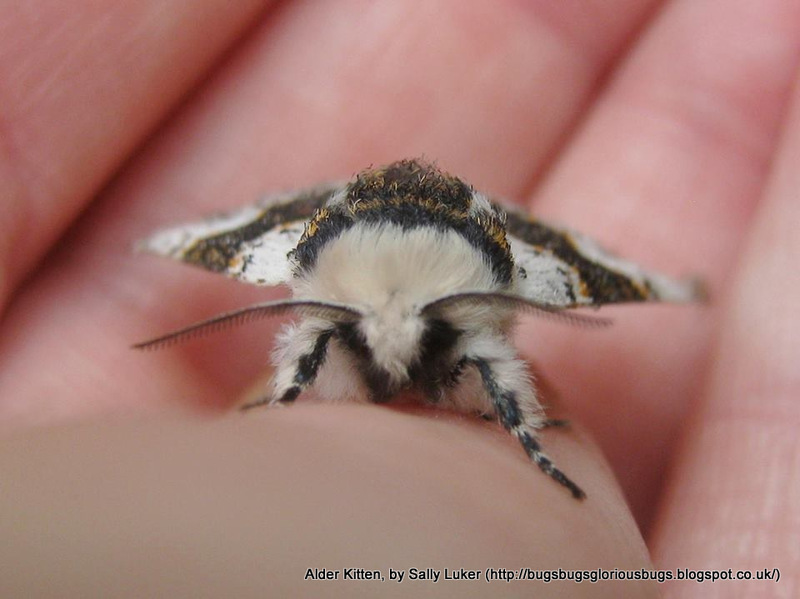 A team of researchers that monitored this population between 2007 and 2014 have discovered that the number of adult moths has reduced by an average of 30-35% each year. 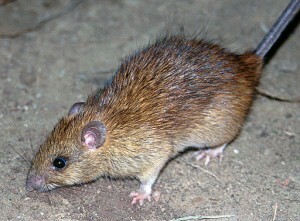 Their results were recently published in the journal PLoS ONE. 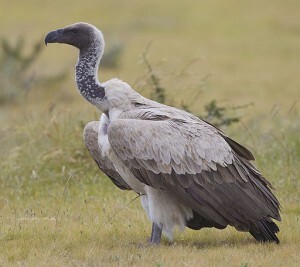 Prior to 2007, it has been estimated that the population of adults numbered between 500 and 1000 spread widely over the common, but now only 50-100 are thought to remain. The rapid decline has been attributed to a reduction in the foodplant of the moth’s caterpillars, Creeping Willow. In 2009, a fire destroyed the most important area of plants for the moth and an increase in grazing pressure by sheep is likely to have had an impact on the breeding habitat throughout the Common. Sheep and other grazing animals are important on heathlands because they help to prevent the habitat from being overgrown with trees and tall shrubs. However, in this case it appears that this management strategy has unwittingly caused the decline of the Dark Bordered Beauty, a species the management was ultimately designed to protect. 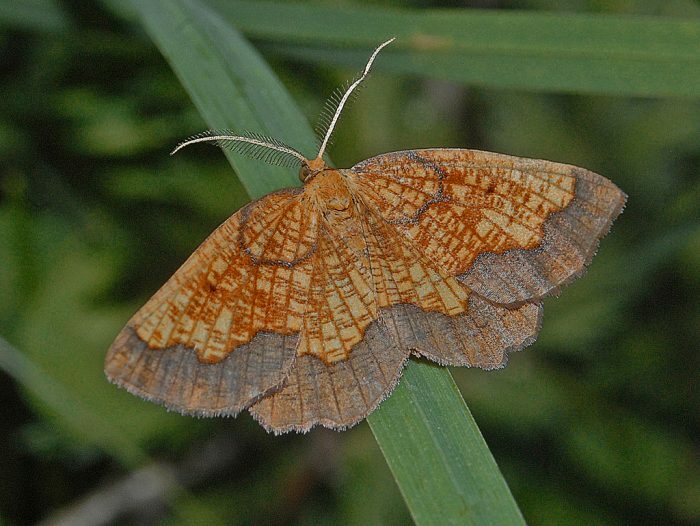 Female moths prefer to lay eggs on large, robust plants in July, but the removal of Creeping Willow by grazing had led to a loss of habitat for the moths. 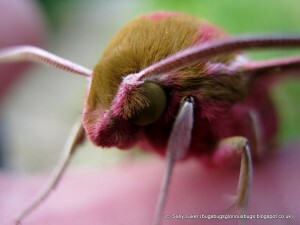 It is also likely that sheep have inadvertently eaten moth eggs, which stay on the plant until late spring before they hatch. I photographed this Dark Bordered Beauty at my workplace at Kenny Hill in Suffolk on 5th September. Perhaps it might seem odd to think of an insect as endearing. But whilst most of them may not be as cuddly as a kitten moth at first glance, they do make for amongst the safest wild creatures for novices to handle, for both the handled and the handler.